Everyone knows by now that Becky Lynch and Ronda Rousey were supposed to tangle at Survivor Series, but thanks to a poorly delivered punch by Nia Jax, Becky was sidelined with a messed up face. We've heard plenty since then to believe that this match will happen sooner rather than later. There's a lot of chatter that it could even main event next spring's WrestleMania from New Jersey. 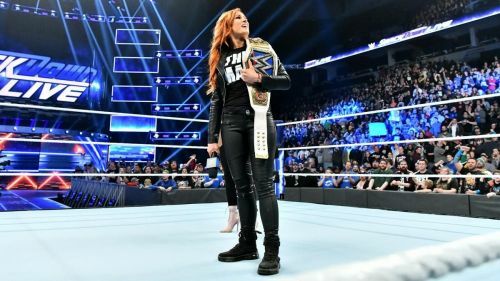 So, with both women currently their respective brands' champion, how do we get there from here? Unless we do a champion versus champion match - unlikely on the Grandest Stage of Them All - one woman pretty much has to drop the title, and soon. 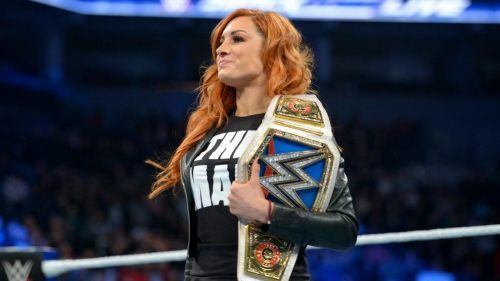 If you read the rumors, many seem to expect Becky Lynch to drop the belt, and it could be as soon as TLC on December 16. This makes sense, especially if WWE has finally come to grips with the idea that fans don't see Becky Lynch as a heel. Take away her prized title and put her on a quest to regain the gold, and that's babyface booking 101. Except, take it a step further, and have Becky exercise her rematch clause on SmackDown, only to come up short. As a result, she enters the women's Royal Rumble, and likely as a prohibitive favorite. When she wins the Rumble, she can pick her match. Provided Ronda Rousey is still RAW Women's Champion, it is just too obvious a choice. Rousey-Lynch could be a hot enough property at that point that it could indeed main event WrestleMania. Think what WWE could do with a couple months of hyping that match, when you can see how many fans were pumped to see the cancelled match with just a couple of weeks of hype. This would be an interesting twist. You could argue that Rousey is one of those transcendent Superstars who does not need a belt to be over. Her first reign validated her dominance, but it surely did not establish her as a star - she'd already done that. So, she could easily drop the belt and decide she wants to chase Becky. That could easily be sparked by comments in an interview or from something via social media. 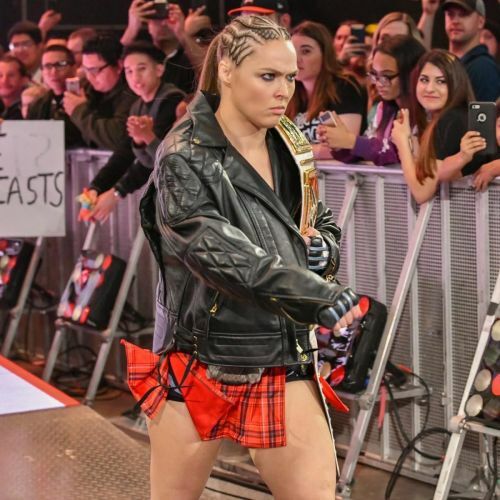 I do think if we were seeing Ronda Rousey, sans title, challenge Becky Lynch at WrestleMania, it would not need to have Rousey as the Rumble winner. From WWE's perspective, this might not be a bad option, as it does allow for some intrigue about who could win the Rumble. I just don't see WWE moving Rousey from RAW just yet, unless they feel they need to for when they transition to FOX...but they do have time for that. Do I think both women make it to MetLife Stadium without gold? No, I do not. Having them battle for a championship does add to the match. That being said, I think this match has reached a level of appeal that it does not need a title involved. Think of the big name, special attraction matches that we've had at past 'Manias, and many didn't need or have a belt involved. Hogan and Rock. Undertaker and Lesnar (yes, The Streak was involved, but no belt). Cena and Rock. Cena and Undertaker - and that match wasn't even confirmed, it just was expected and happened. I do think you could make this such a bitter grudge match that it requires no championship to be on the line. If anything, you have one lose her belt, and then cost the other woman her own. Then, sit back, relax and enjoy. In the grand scheme of things, I expect Becky to be the one in hot pursuit. Lynch challenging Rousey, in the main event of WrestleMania, for the RAW Women's Championship? Sign me up.